Join Sutherland Plumbing on Nextdoor.com! Nextdoor is the private social network for your neighborhood. On Nextdoor, neighbors create private online communities for their neighborhoods where they can ask questions, get to know one another, and exchange local advice and recommendations. Click below to join Sutherland Plumbing on Nextdoor. Join Sutherland Plumbing on Nextdoor, the private social network for your neighborhood. This entry was posted in Company Info, Family & Home Safety, Meet Sutherland Plumbing!, Reviews & Testimonials and tagged Contact Info, Family Company, Portland Plumber, Portland Plumbing Review, Sutherland Plumbing Review on January 29, 2019 by Ti Sutherland. Muddy Crawlspaces – No Problem! Our Master Plumber & Co-owner, Ti Sutherland has no problem doing the dirty work when necessary. Sutherland Plumbing: whatever it takes! This entry was posted in Basement Plumbing, Sutherland Plumbing at Work and tagged Family Company, Portland Plumber, Quality Workmanship, Ti Sutherland on January 24, 2019 by Ti Sutherland. Sutherland Plumbing wins Prestigious Award, Five Years Running! Sutherland Plumbing Earns Esteemed 2018 Angie’s List Super Service Award! This award reflects our company’s consistently high level of customer service. Sutherland Plumbing is proud to announce that we have earned the home service industry’s coveted Angie’s List Super Service Award (SSA). This award honors service professionals who have maintained exceptional service ratings and reviews on Angie’s List in 2018. 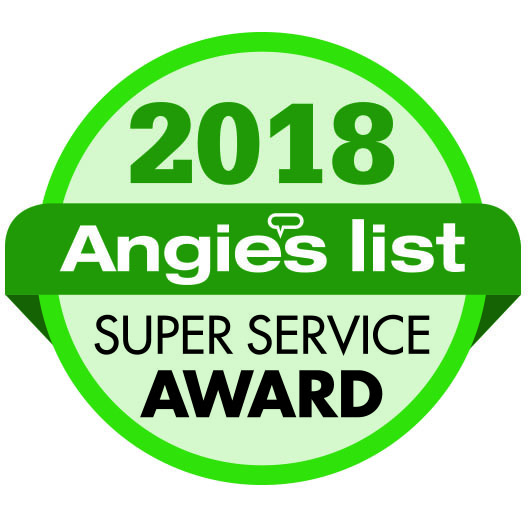 Angie’s List Super Service Award 2018 winners have met strict eligibility requirements, which include maintaining an “A” rating in overall grade, recent grade & review period grade. The SSA winners must be in good standing with Angie’s List and undergo additional screening. Sutherland Plumbing has been listed on Angie’s List since 2013. This is the fifth consecutive year Sutherland Plumbing has received this honor. This entry was posted in Awards & Honors, Company Info, Media Articles, Reviews & Testimonials and tagged Plumbing Certifications, Portland Plumber, Portland Plumbing Review, Quality Workmanship, Sutherland Plumbing Review on January 21, 2019 by Ti Sutherland.